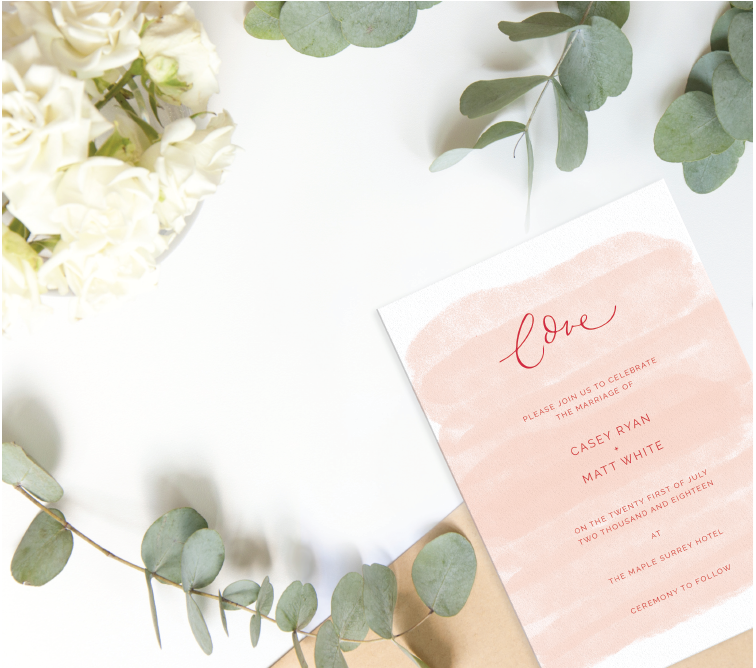 We can help bring your ideas to life with our luxury bespoke invitation suites and save the dates UNIQUELY designed with you in mind. Table plans, place cards, menus and more. whatever your theme, we create unique luxury stationery to make your special event extra special. we offer bespoke handwritten calligraphy on nearly any surface. 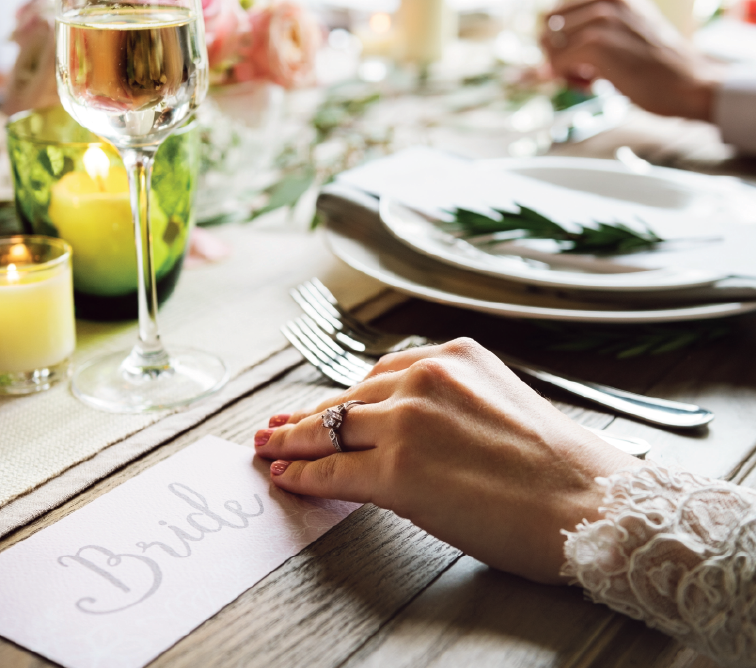 from mirrored table plans to small gold inked place cards, there is nothing we can’t write on, get in touch with us - we’d love to hear your ideas. we consider the finer details at any event. 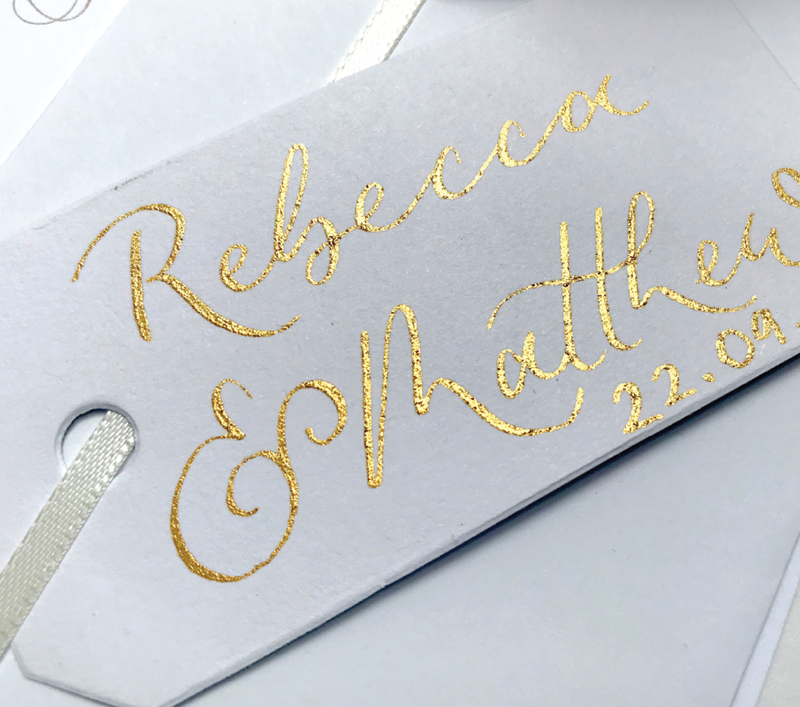 hand brushed gold flaked stationery PIECES or personalised gifts, we love getting creative and adding that extra special touch to all events that we work on. 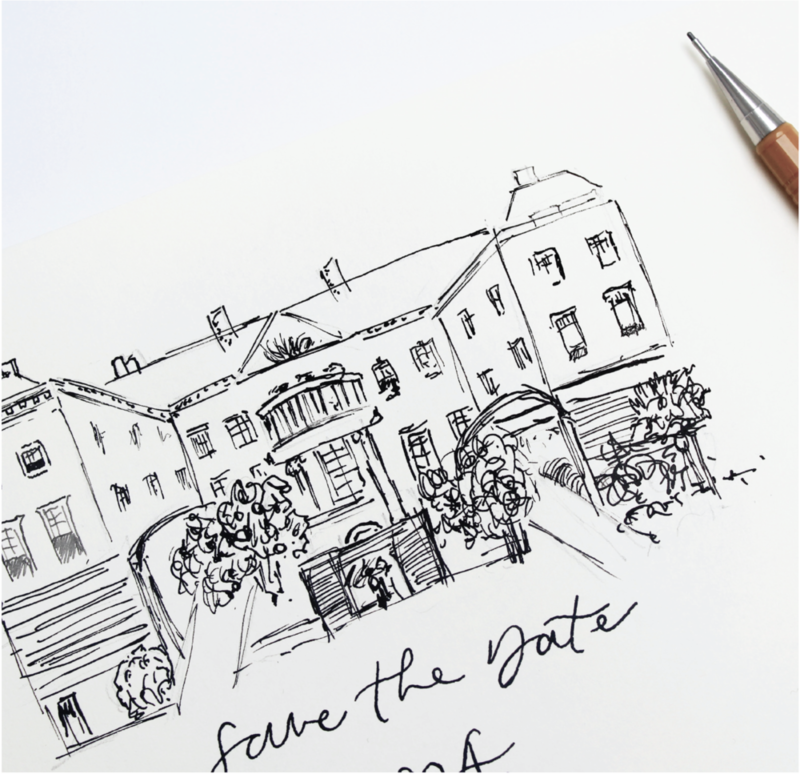 a beautiful venue or personalised crest, we draw and create bespoke illustrations, PIECES of art for your special day.